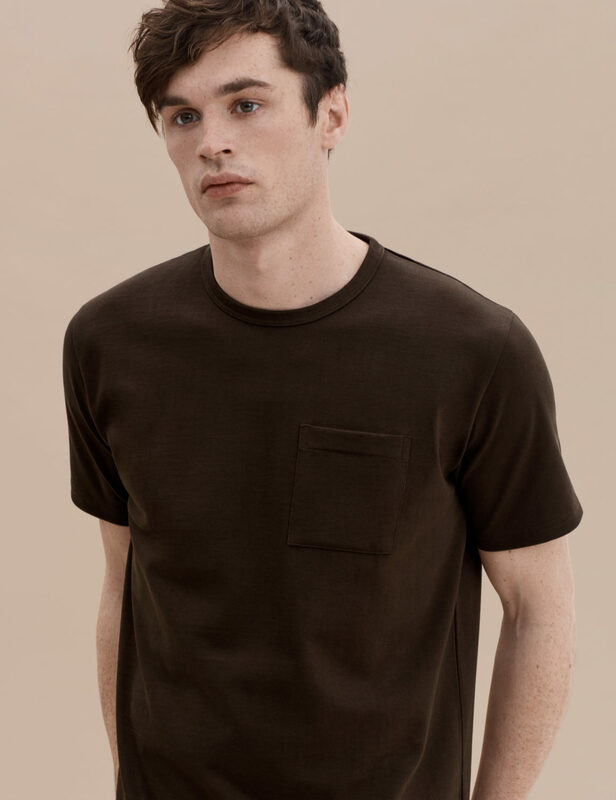 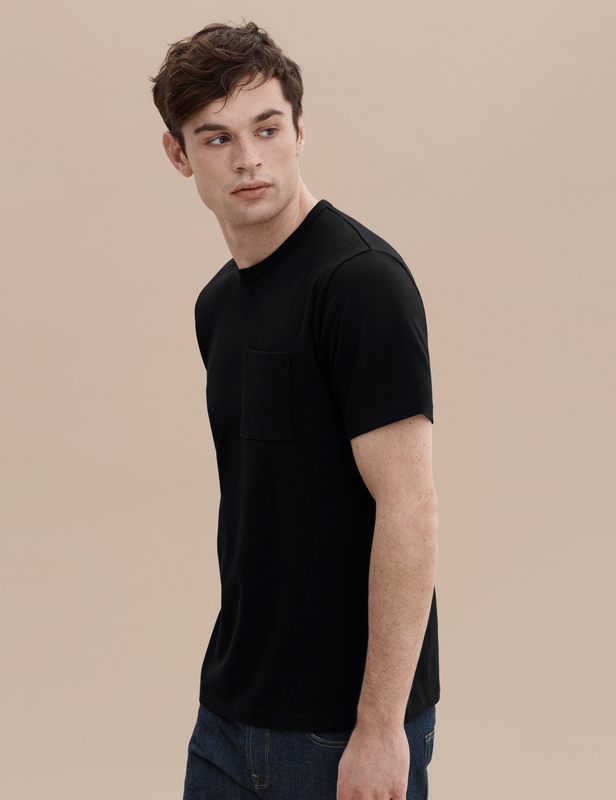 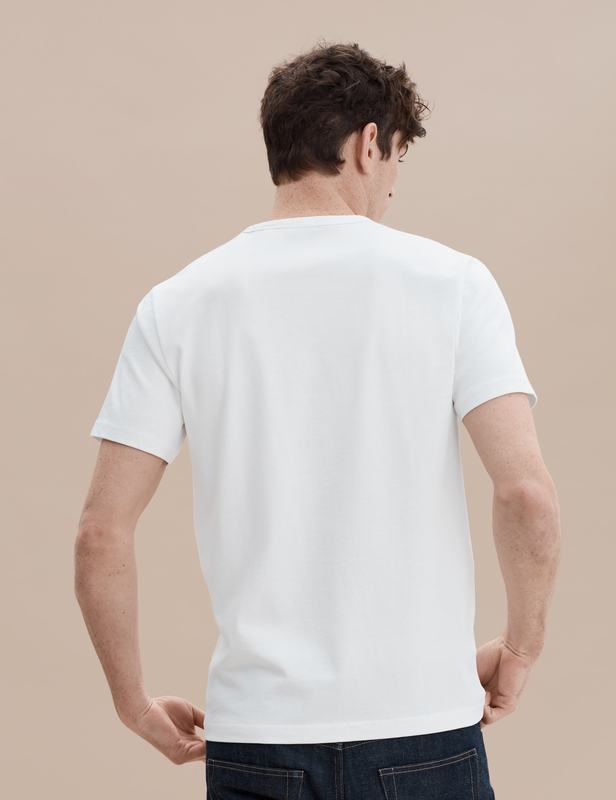 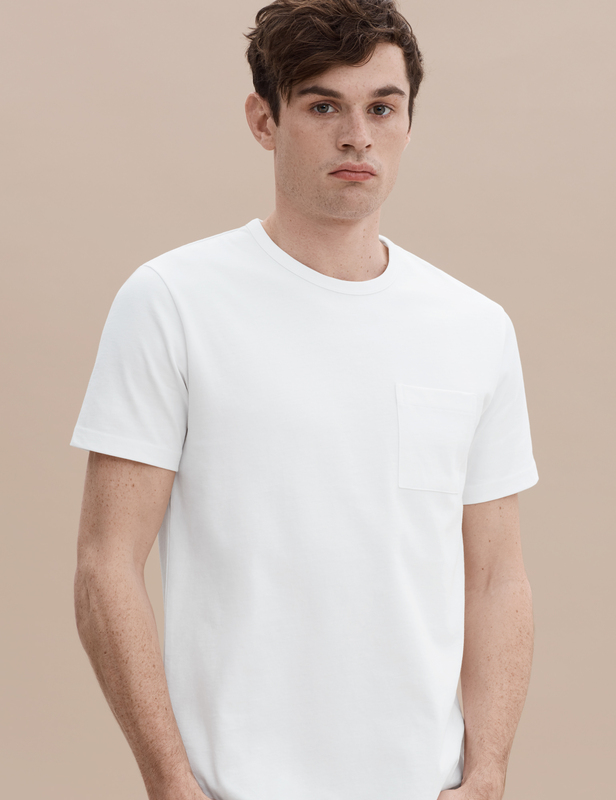 Inspired by our founder’s recent trips to Japan, this pocket t shirt is constructed from a heavy-weight jersey fabric knitted with 2 independent 30/1 yarns in parallel; made from premium combed Peruvian cotton. 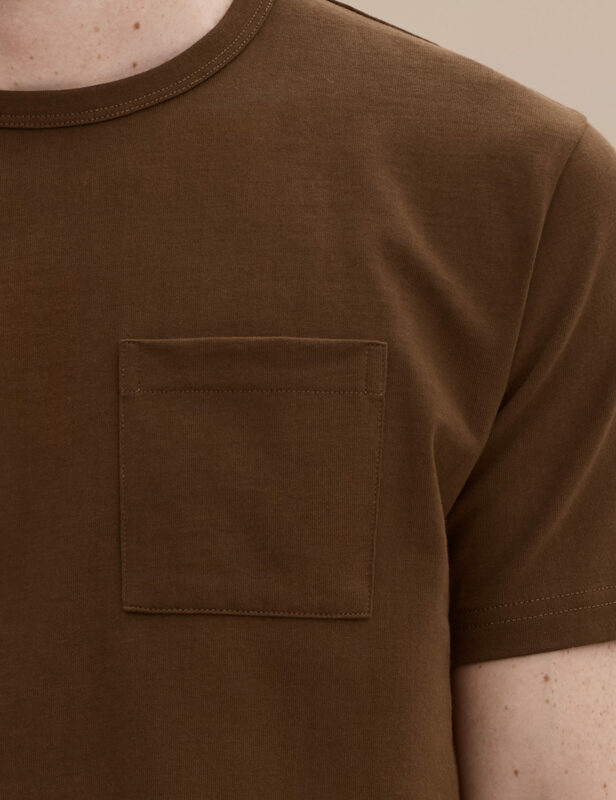 An innovative fabric with a smooth hand, and more than double the weight of a traditional t shirt, destined to last decades. 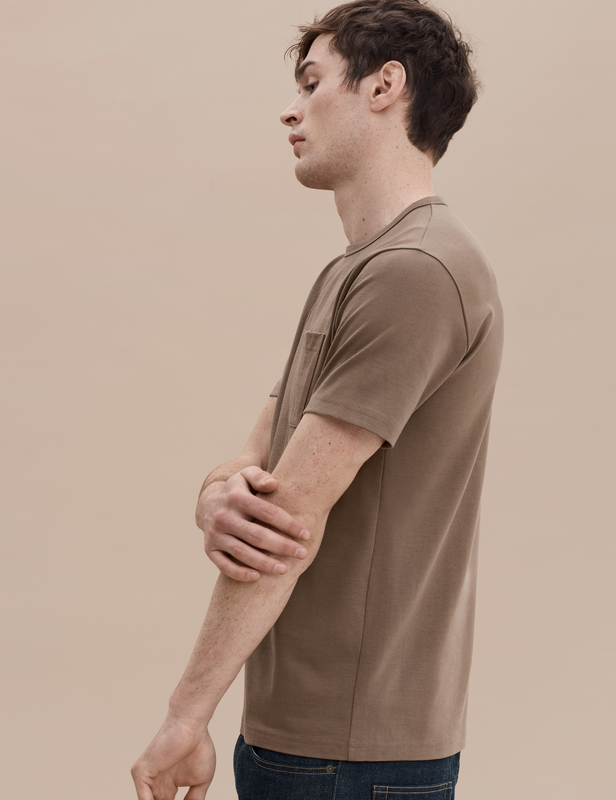 Impeccable craftsmanship, quality materials and a clean minimalist aesthetic makes this piece a dependable wardrobe staple and endlessly versatile.